Culinary School "Let's eat at home!" 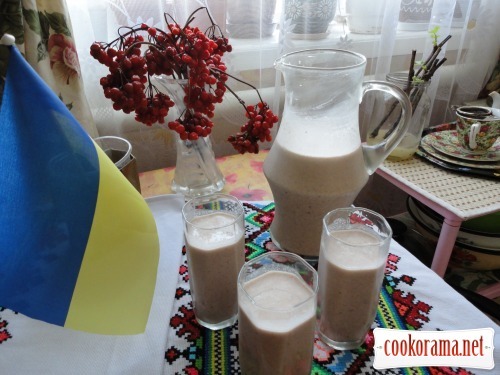 In different areas of Ukraine Kvasha is prepared by its recipes. It is used as a dessert and as a separate dish. It is delicious, nutritious, and is still very useful. 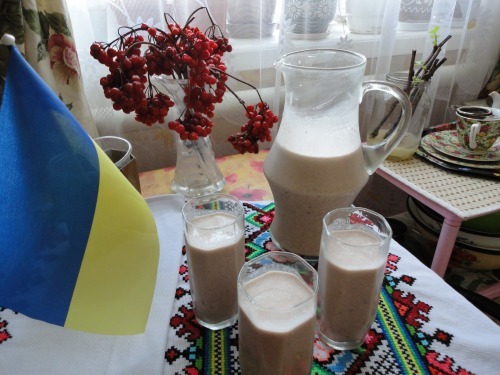 About it can be safely said: «This is balm for our body.» I offer a way to prepare this dish. 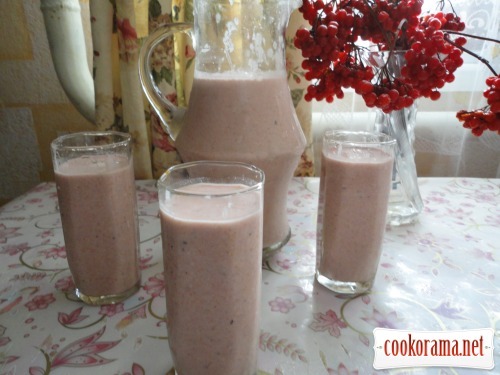 In an enamel container pour a liter of sour milk or yogurt. Add glasses of different flour: wheat, rye, oats, buckwheat, barley — is the foundation of Kvasha. 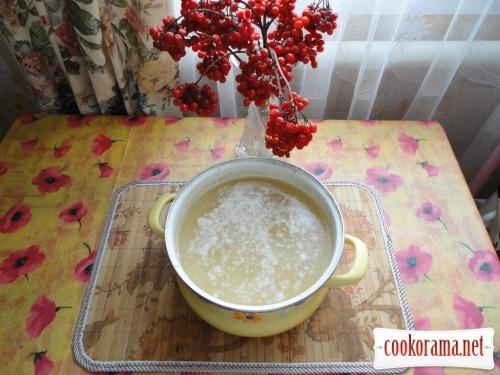 You can also add one cup of oatmeal and a glass of semolina. Add water at room temperature — so much so that it has acquired the consistency of liquid sour cream. All the contents were stirred, and put in a warm place for fermentation. After 1-3 days Kvasha begins to ferment, it becomes sour taste. This is a sign that it is ready for use. I add to finished kvasha 200-300 ml of ready viburnum juice. 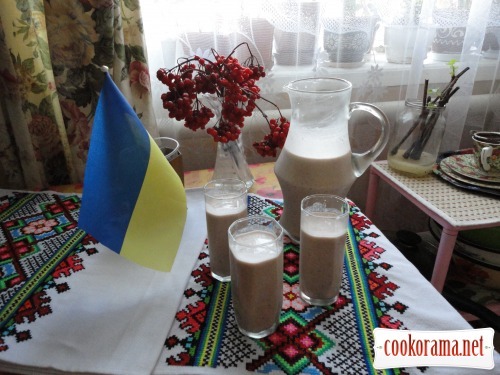 Top of recipe "Ukrainian Kvasha"